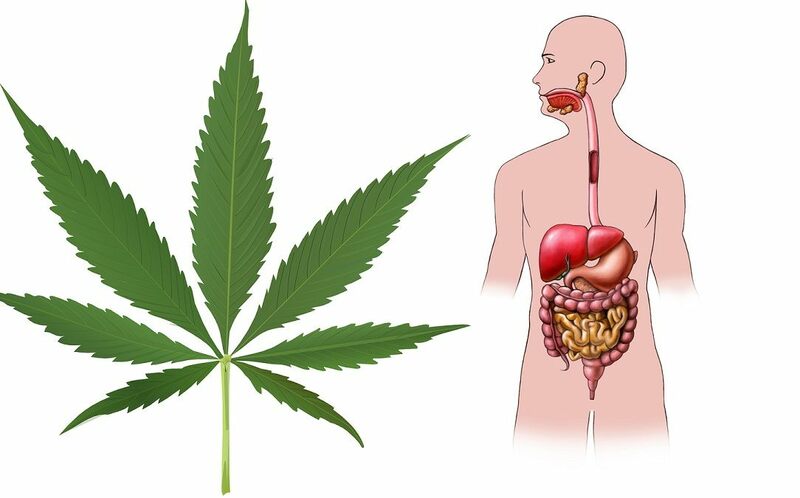 A recent animal and human cell line culture study published August, 2018 confirms the anecdotal reports of healing inflammatory bowel and gut conditions with cannabis. Health Impact News has previously published many of these reports. Surprisingly, the study did not initially use cannabis. Its original purpose was to investigate the mechanics of inflammation in the gut using mice. They inadvertently discovered that impaired or insufficient internal endogenous cannabinoids known as endocannabinoids in the gut allowed inflammation to occur in the mice. The researchers concluded that adding cannabinoids from cannabis plant sources such as marijuana could be why so many IBS (inflammatory bowel syndrome) and Celiac Disease sufferers experience powerful relief from cannabis. The inadvertent implications of this recent study are profound, even though the researchers were not out to prove whole plant cannabis as an authentic medicine for autoimmune or inflammatory gut diseases. Their research at University of Massachusetts Medical School was published in the August 13, 2018 edition of Journal of Clinical Investigation as Acute inflammation: endogenous cannabinoids mellow the harsh proinflammatory environment. They achieved this result by charting various internal biochemical activities through mouse models with induced inflammatory bowel disease (IBD) and cultured human organoids, which are cellular level cultures meant to replicate functions of human organs during in vitro lab testing. The study’s full text can be accessed here. They had set out to determine the actual biological mechanism of autoimmune disease, where the immune system attacks tissue it was meant to protect, its origination, and subsequent chronic inflammation. From this they could also determine what molecular situation could impede or reverse inflammation. There is what’s known as a neutrophil influx initiated by the immune system’s release of a type of white blood cells known as neutrophils to fight pathogenic intruders. If the neutrophil influx is disproportionate to the level needed to combat pathogenic intrusions, they can destroy the epithelium. The epithelium is the protective layer of cells that line the inside of an organ. In this case, the researchers focused on the large intestine. This is the basis of autoimmune disease, where the immune system goes out of control to attack the tissue it was meant to protect. In an attempt to curb the immune system’s overreaction, specific molecules are created internally and sent through the epithelium’s thin layer of cells to squelch the inflammation. The researchers discovered that the attempt to squelch potential inflammation internally required those specific molecules to be transmitted through a cellular network consisting of endogenous or self-contained cannabinoids. Endogenous cannabinoids that exist naturally throughout vital organs, known as endocannabinoids, are distributed throughout several vital organs in the body. This endogenous endocannabinoid system provides the receptors for medical marijuana’s healing cannabinoids. The team discovered that if endogenous endocannabinoids are lacking or insufficient, the body cannot control the immune system’s overreaction, allowing neutrophils to feast on the protective epithelium unrestrained to create inflammation. There’s been a lot of anecdotal evidence about the benefits of medical marijuana, but there hasn’t been a lot of science to back it up. For the first time, we have an understanding of the molecules involved in the process and how endocannabinoids and cannabinoids control inflammation. This video provides one dramatic anecdotal account of Crohn’s Disease turn-around from cannabis. Will This Type of Research be Used to Develop Pharmaceutical Drugs while Keeping Cannabis Illegal at the Federal Level? Lead study author McCormick’s phrase “This gives clinical researchers a new drug target …” seems to imply that the intent of this study was to develop drugs for the pharmaceutical industry. Natural whole medical cannabis plants, which offer a plethora of disease cures that Big Pharma cannot offer, are not able to be patented. Knowledge of cannabis’s multiple uses is already beginning to impinge on the pharma cartel’s highly profitable medical monopoly, which relies on creating a synthetic version the active pharmacological component of a natural source to patent it. But whole plant cannabis products contain all 60 plus of marijuana’s cannabinoids and plant terpenes that interact harmoniously with cannabinoids to create what’s called “the entourage effect”. Varied entourage effects from different plant terpene combinations influence different pharmacological synergies from even similar cannabis strains. These natural synergies cannot ultimately be duplicated in the labs to produce the biochemically balanced efficacy and safety that whole plant products provide. Some pharmaceutical attempts may approximate palliative relief, but their chemical combinations cause many side effects. Israel’s nationalized medical marijuana’s clinical applications are supported by government-controlled research dedicated to the plant and its various strains for directly treating disease. The research involves cannabis growers, dispensaries, and patients prescribed cannabis for various diseases. The pharmaceutical industry is not involved. That’s not the situation in the United States. There are bipartisan rumblings in Congress to advance medical cannabis’s accessibility and open up research at national levels that involves the whole plant’s applications. Will Medical Cannabis Soon Be Available to Everyone? There is hope for sanity to prevail eventually, enabling cannabis to be readily available as a natural medicine for the many ailments and autoimmune diseases once considered incurable by mainstream medicine. This video demonstrates that cannabis can be used medically at any age successfully without harmful side effects even though determining the right cannabis strain medically is currently difficult.